I would like to receive occasional information and updates from Esme's Awesome Arty Auction and jumblebee. So... I felt a bit guilty making a fundraiser for this. There are many urgent causes out there, whilst I’m here trying to raise funds to attend my dream college. I figured if people get something in return it’s not as if I’m pretending to be a charity... so here’s the deal. For the last few years it has been my dream to go to a UWC, or more specifically, Atlantic College. UWC is a group of Colleges around the world that mixes students from all continents, all life experiences. Their mission is to create global citizens that strive to unite the world for a peaceful and sustainable future. The education they offer is unique and inspiring, it’s an amazing movement, worth having a google. So last year I went through the lengthy application and assessment process, but there was no way we could imagine finding the full fees that were in their terms of acceptance. I tried again this year. I was more ready. 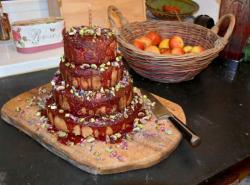 I came out of the process more confident, and sure enough they offered me a very generous bursary... I was elated, however we still can’t afford it on our own. It’s an incredible opportunity to be selected, especially twice, out of all the hopefuls that applied. Few people are lucky enough to have this chance. 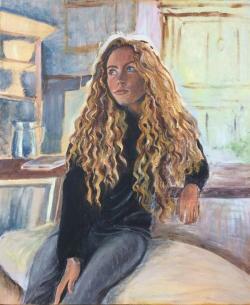 Artist Kiara Dixey is offering to paint a specially commissioned portrait on canvas of a person. Perfect opportunity to get a beautiful professional portrait of a loved one. 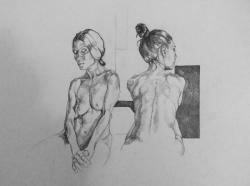 These portraits usually sell for up to £750. Kiara Dixey's website is ww.dixeyart.co.uk , her Facebook is http://www.facebook.com/DixeyArt . 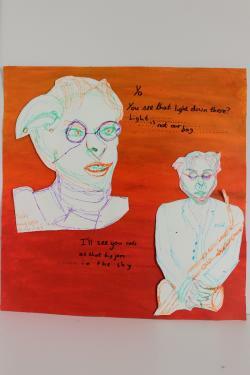 Photo is an example of a recent portrait by the artist. 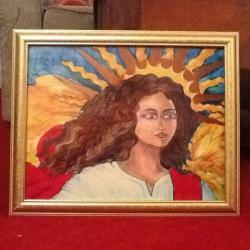 Beautiful and great quality Framed print of 'The Angel' painting by artist Kiara Dixey. 'Not all those who wander 'adorned poetry hanging. 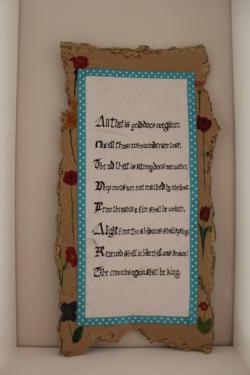 Famous poem by J.R.R Tolkien (see below) in calligraphy with watercolour flowers and gold detail. Message Esme for personalised Calligraphy art if interested. Original A4 ink painting of a booty in vivid orange and yellow colours. Bold and funky. 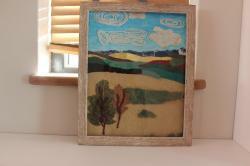 An A3 size mixed media landscape in a frame to hang in your home. 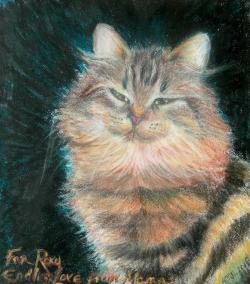 Personal commission of a pet portrait by artist Kiara Dixey. Capture your beloved animal in all it's glory, permanently. Usually worth £300- £500. Beautiful emotive portraits. Kiara Dixey's website is http://www.dixeyart.co.uk . Her facebook is http://www.facebook.com/DixeyArt . Brand new 'Darling London' trousers. RRP £47. 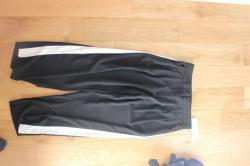 New, never worn (except modelling for this ;) ) designer trousers with labels. Perfect Smart but fun black trousers with a white panel up the sides. Loose at bottom and Cut-off, perfect with boots. Tighter around the top. Size 12. Make a statement with this large, bold designer shoulder bag. Made by designer Paolo Masi, this is an incredibly high quality pure hide bag. RRP £379! used but in good condition. Goes great with black jeans, bold jewelry and a rock and roll attitude! 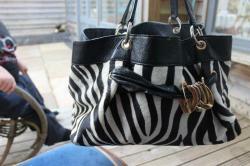 Made of beautiful genuine pony hair dyed in a zebra pattern with complimenting black leather and gold metal detailing. Has a large interior with multiple zip close pockets. 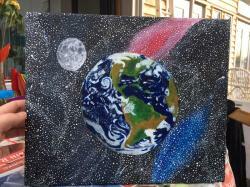 Original Earth and moon painting. Embroidery + batique palm tree with lamps. 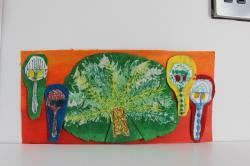 Abstract depiction of patterned lamp posts and Palm tree using batique, ink and embroidery on fabric. Frame available. 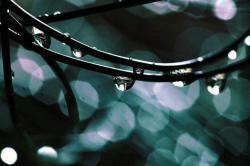 By Esme. 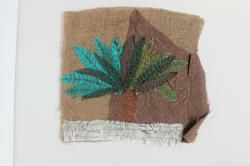 Embroidered Palm Tree Wall hanging. Beautiful framed image by photographer Perly J Freeman. 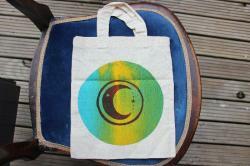 Hand screen-printed small bag with original moon and star design in vivid marbled colours. 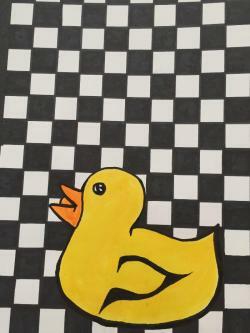 Framed Original Checker-board + duck painting. A5 (ish) modern, original pen and ink piece of a rubber duck. Edgy, groovy, modern....awesome. Original Watercolour- Abstract view of the sea. 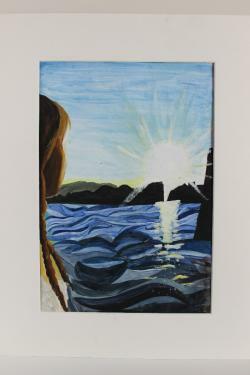 Original framed Watercolour painting of a girl looking out to a city across the sea, with the sun rising. Acrylic detail. Soft and slightly abstract. By Esme. 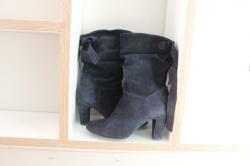 Brand-New Tamaris Blue Suede Boots. Brand-New, never worn, Tamaris blue suede boots. Size 38. RRP around £64. 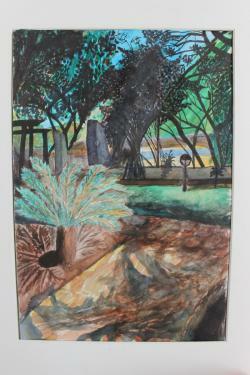 Watercolour painting of a garden in Cuba with palm tree and pool in the background. 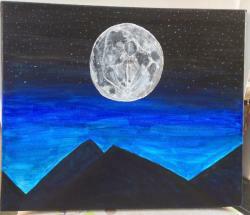 By Esme .